Officially Rioja but shows no resemblance to the standard style – this is a garnacha fruit bomb, not a savoury, elegant tempranillo. Rioja Baja, where the grapes come from is closer to Navarra both in terms of climate and varietal selection than to the „real” Rioja (Alta & Alavesa). 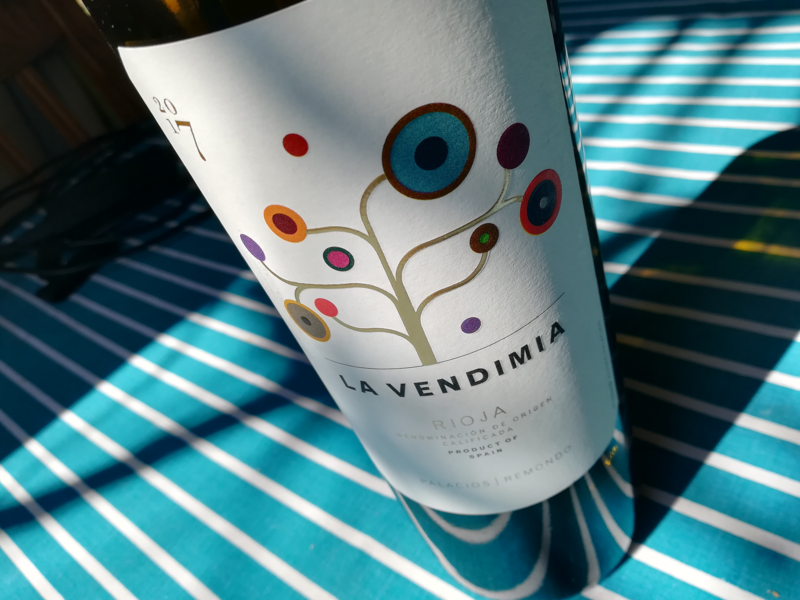 Vendimia started out as a carbonic macerated young wine but since then seems to have grown in stature. Full, velvety and hedonistic. The nose is intense with notes of chestnut honey, black soil, pomegranate, black berries and plums. The palate is seductively delicious with a sweetish streak due to the fully ripe fruit and the highish alcohol (thankfully there is only minimal heat on the finish and the wine is not heavy or cumbersome). The intense sour cherry confit and allspice is balanced by some savoury, slightly bitter notes. The juicy acidity gives it a good lift. Not a wine to ponder upon but then not an insult to the intellect either. 6 points and good value at 12 euros if it’s pleasure most of all that you’re after.